DESCRIPTION An exquisitely manicured yard welcomes you into over 3300 sq ft of inner city living luxury. The open concept designed main floor features a gourmet kitchen with custom cabinetry and high end appliances, a large great room with fireplace and a mudroom that features custom bench and built in lockers. Skylights illuminate the staircase that leads up to the second floor that hosts 3 bedrooms, including a master retreat with spa-like en-suite; steam shower, soaker tub, double sinks and a walk-in closet complete with built-in shelving. The lower level is fully developed with in-floor heating, 4th bedroom, 4pc bath, fitness gym, and recreation room with wet bar and fireplace. The luxuries continue throughout with a " smart home" automated lighting, audio and video control system. And, a large detached 2 car heated garage completes the package. Home for sale at 2220 Broadview RD Nw Calgary, Alberts T2N 3J2. 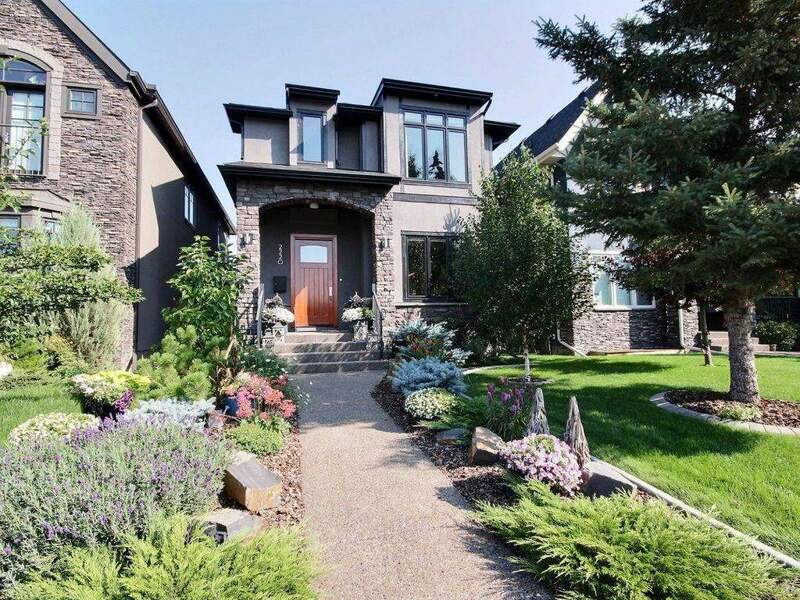 Description: The home at 2220 Broadview RD Nw Calgary, Alberta T2N 3J2 with the MLS® Number C4202799 is currently listed at $1,249,000.